Pooh and Piglet share a friendship sweeter than all the honey in the woods! In this joyful scene, the two friends are filled with glee by their victorious egg hunt. 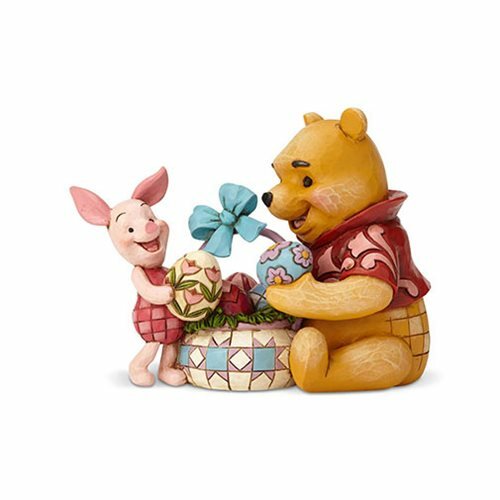 Brighten up your collection with this lively, colorful Disney Traditions Winnie the Pooh Pooh and Piglet Easter Spring Surprise Statue by Jim Shore. This stone resin statue makes a great gift for any Disney fan. Measures about 6 2/5-inches long x 4 4/5-inches tall x 3 1/2-inches wide.